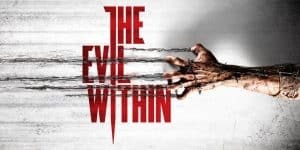 Rumor: The Evil Within Might Be Getting A Sequel | Nerd Much? Boy, The Evil Within from 2014 feels like a long time ago. But good times were had in the Shinji Mikami game, with the Silent Hill vibes and fairly exciting horror combat. It seems that others agree, as according to Bethesda, the game sold fairly well and plans for a sequel were put in the vague future if the publisher decided on it. And it seems like it has, as a recent job listing via NeoGAF, has been sighted that states quite clearly that The Evil Within 2 is currently in development. It lists the game under the Japanese title, as the whole listing is in Japanese, Psycho Break 2. According to the translation provided, the job’s contract ends around October 31st, so we might be seeing a release sometime around then. Which means The Evil Within 2 could be unveiled in full at E3 2017, probably during Bethesda’s own event in the same month. Perhaps this time around we’ll have less bland characters that compliment more than bring down the otherwise amazing atmosphere and gameplay. Of course, we don’t even know if Mikami will be working on the sequel too, or if someone else will be taking up the mantel. What do you hope to see in the sequel to The Evil Within? Do you want the character to be more developed, or would you rather the developers focus on better story telling? Let us know your thoughts in the comments below.